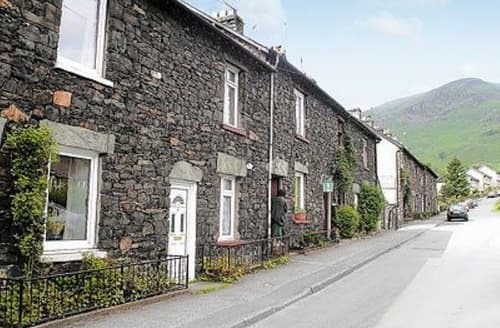 Glenridding is a beautiful ex-mining village in the Lake District. 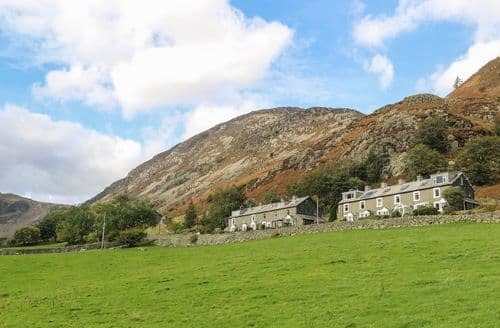 Found on the edge of Ullswater and surrounded by rolling hills, it is nestled deep within this much-loved National Park. 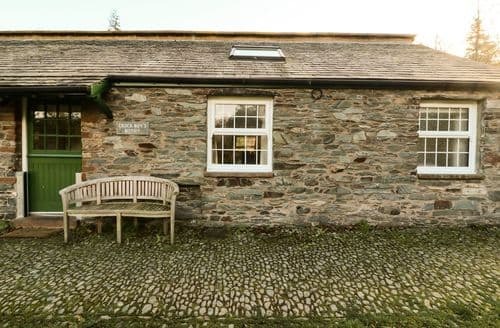 A cottage holiday here is well suited to walking, cycling and generally soaking up the fresh air. 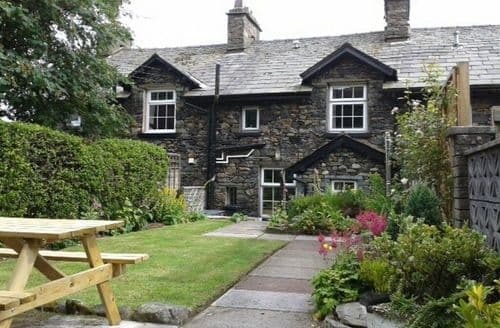 What our customers are saying about our Holiday Cottages In Glenridding To Rent. "We picked S85024 for our family of four to stay in mainly because of its location, and we were not disappointed! 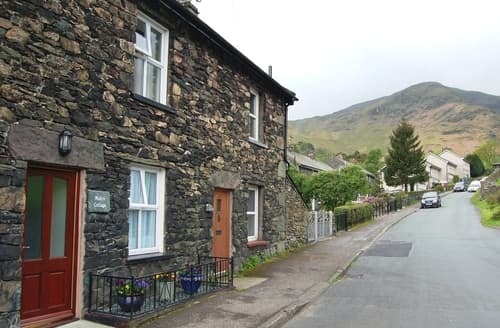 It was great to be able to walk up Helvellyn from the door, or drive short distances to other stunning walks.We had some mixed emotions about the house itself. Overall it was decent. Plus points were the effort the owner had gone to to make sure that everything you needed in terms of facilities and equipment was provided. And we just loved the amazing view from the huge windows across the lake to the mountains beyond. So we felt very 'welcomed'. From a neutral perspective, worth noting that a quirk of the lay-out is that one of the bedrooms is downstairs whilst the other is upstairs - this worked for us as our kids are a little older and it was nice to have the space, but may not work for others. 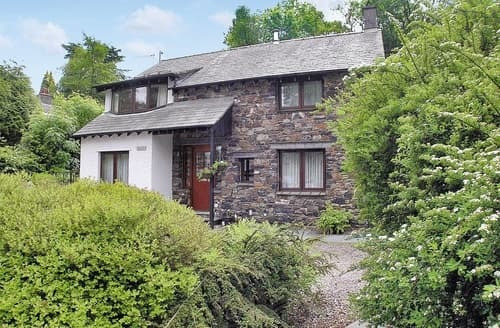 Both bedrooms were ensuite which was appreciated.We rent holiday cottages quite a lot (great for holidays with kids!) 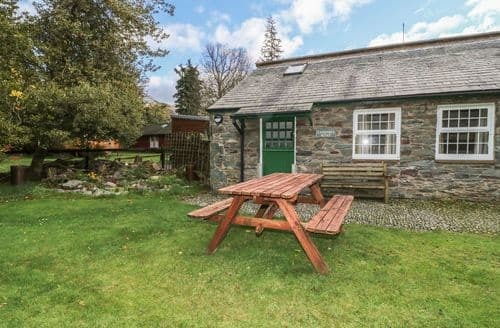 and comparatively, this cottage was one of the smallest we have stayed in. 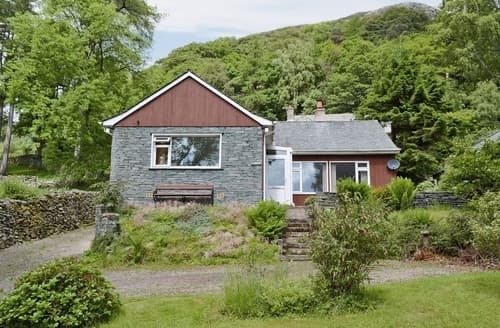 Yes, it was big enough for us 4, absolutely, but cost-wise it is less house for the pound though I appreciate that location is excellent though. The main challenge that I had with the place was the water. After a day's walking I just wanted a warm shower or bath. The water was never hot enough to run a decent bath, and the poor water pressure in both showers in cold bathrooms meant that it was quite a chilly experience having a shower. I am completely understanding of challenges in water pressure in certain locations, but this was the main thing that impacted our enjoyment of the cottage so possibly it's worth looking at?In short, we felt very welcomed, in a cottage in a lovely location, and we could see from the visitors book how many people loved staying at S85024, we just would have liked better water facilities!" 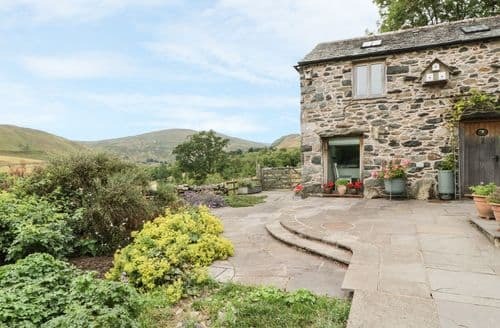 "We stayed at Blaes Crag last week of September 2018Fantastic cottage in an even more fantastic location. 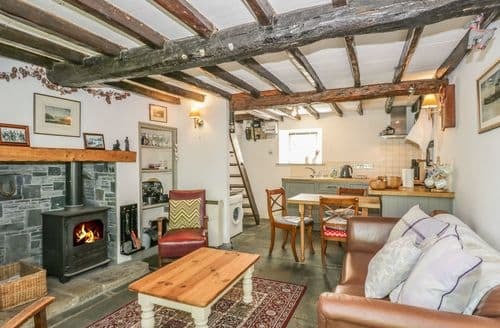 I wish I had the top floor bedroom at my home, such stunning views!Cosy cottage was perfect for me, my husband and the dog. 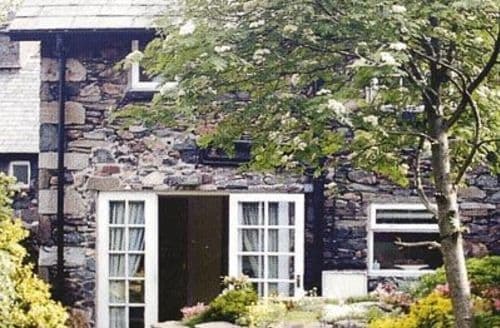 We did several walks from the cottage including the mighty Helvelyn and Aira Force which we walked to then got the steamer back.A visitors book would be nice, (always useful to see what others recommend doing/seeing)as well as a welcome pack.We had an issue with the guttering on the side of the dormer window rattling one night, when it was windy, but we could have slept in the other double room if any more wind had been forecast. I have reported this to the office so hopefully will get sorted soon, I think the owners may have already tried to fix looking at another review.I also agree that the kitchen lighting is not great, could be improved relatively easily.Other than that, we really enjoyed our stay and would definitely stay again!Thank you to the owners for renting out this amazing cottage"
"This was the most we have ever paid for a week in a cottage in the Lake District but thought we'd pay a premium for what looked like a lovely cottage in a perfect location. 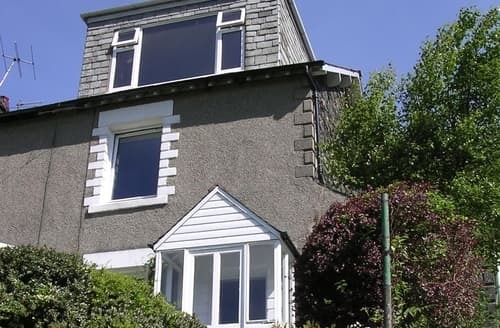 The location and the view from the lounge bay window are wonderful but when you pay over £800 for a week then you at least expect the property to be clean. Disappointingly it wasn't. In fact it was grubby with the cutlery drawer not cleaned, the dining table sticky and the comfy chairs in the bay dirty and needing the throws that cover them. 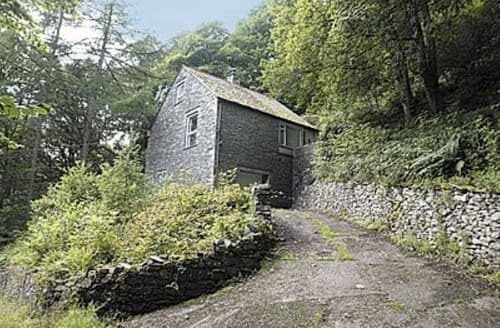 The cottage is in need of some TLC which probably hasn't been the case for years. 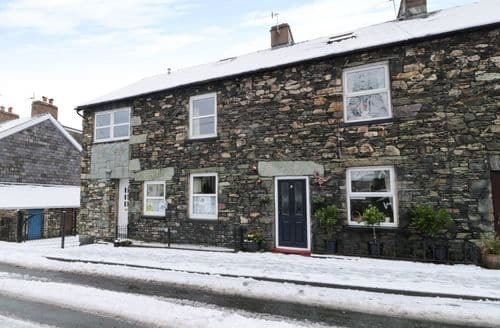 This is a shame as I'm sure that this was a lovely property at one time.The pictures on the CC website must be from years ago as they do not accurately represent the cottage today." 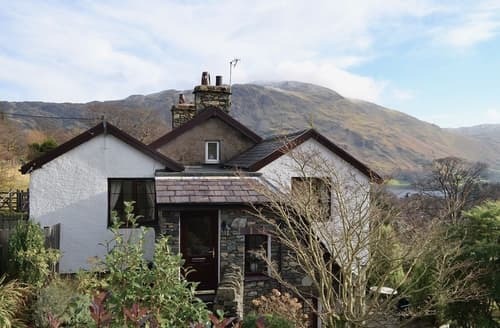 "The cottage is perfectly situated for walks from the front door and is in a very short walking distance to the shops and bars in Glenridding. 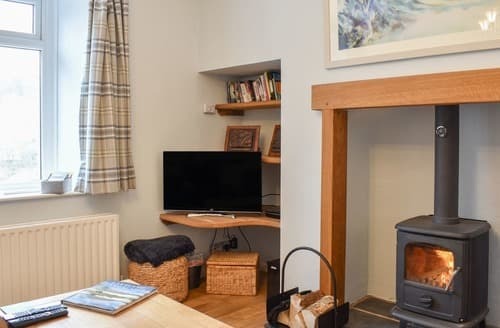 It's really well equipped, cosy and comfortable, lovely to have an open fire after walking in the snow and to find the heating on when we arrived. The beds are also very comfortable. It was helpful to have a few basics there, in case people hadn't brought them, such as washing up liquid, dishwasher tabs, loo rolls etc. We noticed others had commented on it not being obvious that towels are not included, but I think all sites now have that information on them. One suggestion would be, that as the shower is over the bath, a non-slip mat for the bath would be good. We brought our own but most people wouldn't think to." "Really enjoyed staying at S85027. It has beautiful well secure gardens with lovely views. Kitchen was very well equipped. Everything had been thought of in its information pack. It felt very home from home. Could do with a full length mirror for if attending a wedding etc and a bigger mirror in the main double bedroom, this captures the views of the fells too. Other than that can’t fault this place at all. The ensuites are small but adequate and modern. We did a circular walk every day and never used the car all week. Heaven. Lots of eateries and local stores, which are stocked with everything you can imagine, are all within walking distance. We will definitely return at some point in the future."